ND555 is the Flagship model of the new 500 streaming series and Naim's best streamer. It effectively replaces and improves on the Naim NDS. Earn 12999 loyalty points when you order this item. 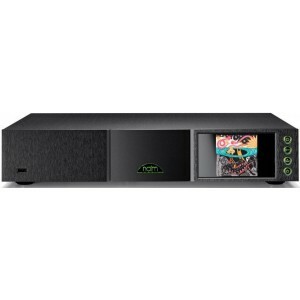 Naim ND555 Network Player Streamer is a reference model and quite simply the best source component Naim has ever developed enabling pure musicality with their most advanced streaming platform. ND-555 pairs innovative new streaming platform with classic Naim analogue technology and features a 40-bit SHARC processor with advanced signal processing, a suspended brass sub-chassis to isolate sound-critical circuits from vibrations and the best external power supply from Naim. 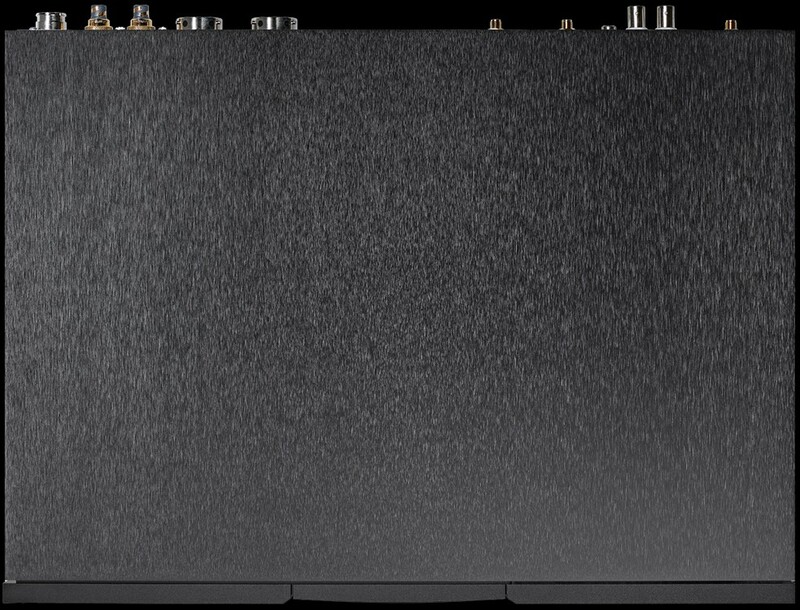 Naim ND 555 is the result of over four decades of audio engineering. From state-of-the-art streaming module to powerful, natural-sounding audio stages – every element of this network player is built on Naim's design DNA, giving it that distinctive, captivating Naim sound. 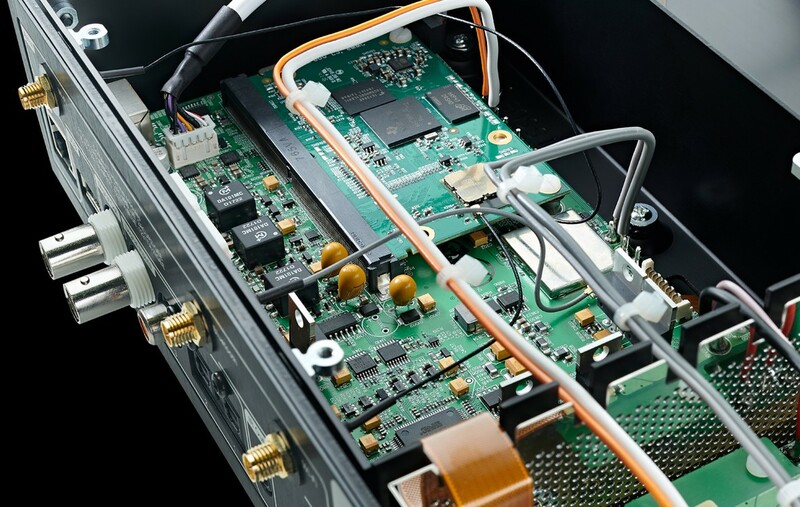 The ND555 development process also helped Naim step foot into new technologies: for the first time, they added low-voltage differential signalling (LVDS) to a premium Naim player chosen because it minimises timing errors due to its fast speed and it minimises radiation thanks to its low noise. Naim's latest network players have been engineered on the basis of a completely new streaming system. Three years in the making, this innovative, Naim-designed digital technology surpasses anything they've done before. Combining state-of-the-art DSP with a rich, analogue soul, the 500 Series' network players deliver engaging, immersive sound quality to get the very best out of your music, whilst retaining Naim's classic styling. The range includes the ND5 XS 2, NDX 2 and ND 555 – the first network player in the Naim 500 Series and the only one to match its power and audiophile-quality sound. Internet radio allows you to explore thousands of stations from across the world and save your favourites as presets for easy access. UPnP (Universal Plug and Play) streams music from a PC, Mac or network-attached storage with a stunning resolution of up to 32 bits/384 kHz or DSD128. Digital Inputs (Optical and Coax) boost audio from digital sources such as TVs, set-top boxes or games consoles. Thanks to Wired IR RC5 system integration, you can control your Naim amplifier directly from the Naim app on a phone or tablet. You are also able to play music from a USB-connected phone, iOS device, other MP3 players, USB sticks or HDDs. Play music from multiple Naim streaming sources at the same time. Simply link, for example, the ND555 in your main system to the Uniti in your office and the Mu-so in your kitchen using the intuitive Naim app. Roon-Ready completely transforms the experience of browsing and playing music: rich, beautifully laid-out metadata is hyperlinked to build an easy-to-navigate, searchable magazine of your music collection. With Naim's new network players, they retained a classic look while integrating the latest technology and innovative new features. All of the models in the range use the familiar brushed metal exterior, while ND555 also includes a 5” front-panel TFT display. Along with the Naim app, it’s the face of our seamless new streaming system, providing access to streaming services such as Spotify and TIDAL, internet radio, local sources and album artwork – in short, ultimate connectivity. The ND555 is bristling with innovative technology from input to output. The streaming section uses the latest Naim network card featuring low-noise, high-speed LVDS to route the digital audio signal. The higher speed is capable of decoding all HD audio formats at up to 32 bits/384 kHz or DSD128. Rather than the source acting as the digital timing master, the new streaming board turns things around and allows the DAC clock to control the flow of audio data. The data is integer-over-sampled in a SHARC DSP to an incredible 40-bit accuracy and fed into the Burr-Brown PCM1704, a true R2R ladder DAC valued for its exceptional sound quality. Naim’s renowned DR regulator technology, as used in their range of amplifiers and power supplies, makes its first appearance in a network player, providing ultra-pure DC voltage to the sensitive audio circuitry in the ND 555. The analogue stages use only high-grade through-hole components and are suspended on sprung sub-chassis with heavy brass plates to minimise the effects of microphony. A bi-directional, Zigbee-compatible remote control puts essential functions right at your fingertips. In contrast to infra-red remotes, it requires no line of sight so you can take control whatever direction you’re facing or even from around the corner. The same remote can also be used for various Naim streamers. The ND555 won't run without a 555PS DR power supply. The 555PS DR anodised variant is the correct match for the ND555. The ND 555 can be complemented with a second 555PS DR power supply and/or a Super Lumina interconnect cable to boost audio performance.